You are currently browsing the archives for the Paul Thissen category. Whatever happened to the DFL’s historic investment in education? St. Cloud school district has imposed its largest tax levy increase in six years for 2015. The district’s property-tax levy will increase by $3.3 million, or 14.75 percent, to nearly $26 million. The school board voted unanimously Thursday night to approve the 2015 levy. District officials say the increase is needed to pay for a spate of improvements to facilities. The Princeton School Board, in a split vote on Dec. 16, increased the school district tax levy by 25.16 percent for taxes payable 2015 to fund the 2015-16 school year. This was a departure from the board’s originally proposed 33.87 percent hike. The total levy will be a little more than $6.091 million, a $300,000 increase over this year’s levy. The original proposal would have increased the levy $724,000. Gov. Mark Dayton is calling for $138 million in emergency funding for Minnesota schools as districts across the state grapple with budget shortfalls. Dayton unveiled his request to lawmakers Tuesday as the Legislature heads toward a mandatory May 22 adjournment. The Democratic governor’s proposal would increase the state’s per-pupil funding formula by 2 percent. How is this possible? The DFL told us that they’d made an historic investment in education. Less than a year later, people were getting hit with gigantic property tax hits. Question: how historic could the investment be if it disappeared less than a year later? Let’s be blunt. The DFL’s ‘investment’ did nothing except encourage school districts to spend like drunken sailors. The lesson to be learned from this is that raising taxes and spending only leads to increased taxes and increased reckless spending. DFL writing off southern MN? Thissen suggested Minnesota adopt a similar approach to California, where, according to National Public Radio, state Senate leader Kevin de Leon proposed taxpayers give to a new state-run charitable fund in exchange for a refund on state income taxes. Thissen said he supports the state being stable fiscally and balancing the budget without disproportionately affecting the poor. President Trump has a better idea. It’s called growing the economy. The DFL hasn’t thought of that since Perpich was governor. California’s difficulties are like Minnesota’s in that Democrats think spending on every news item is a core government function. The truth is that the DFL can’t properly identify government’s essential responsibilities. Until the DFL figure that out, they’ll continue losing elections in rural Minnesota. Here’s a revolutionary thought. How about letting parents save for their kids’ education, thereby reducing the amount of money students have to borrow? Think of it as a 401(k) for college, not retirement. Here’s another revolutionary thought. Minnesota could give tax breaks to corporations that contribute to their employees’ college savings accounts. This isn’t a giveaway. It’s smart tax policy. That’s especially true for Minnesota. Native-born Minnesotans are leaving. The only way to grow the population is by accepting illegal immigrants and refugees. The bad news to that is that those demographic groups do poorly economically for more than a generation. That isn’t opinion. It’s official statistically according to the Minnesota State Demographer. What planet are these candidates from? Support for transit systems in rural Minnesota is virtually nonexistent. The DFL is delusional if they think otherwise. There’s no question whether the metro DFL is the dominant wing of the DFL. They’ve essentially told rural DFL legislators that they’re valued as long as they keep their mouths shut and follow metro DFL’s orders. The vast majority of DFL gubernatorial candidates are Metrocrats. Tim Walz is the only one that doesn’t fit that description because he’s from southern Minnesota. Unfortunately, he’s had a recent change of heart and is sounding like an anti-mining, NRA-hating Metrocrat. But I digress. As a young activist at Carleton College, Jamie founded a student environmental group. Among their achievements were pressuring the college to install a wind turbine and the creation of a Responsible Investment Committee so the college’s wealth would not support injustice. He took his organizing to Washington, D.C., working on climate and clean water advocacy with the Natural Resources Defense Council while attending law school. Jamie brought his organizing skill and his passion for justice back to Minnesota five years ago. He channeled that energy and ability into running Congressman Keith Ellison’s Minnesota office, helping build community power to propel a comprehensive progressive legislative agenda. If there’s anyone who’s more progressive than Mr. Long, it might take time to find, then identify, that person. Frankly, I’m not sure that person exists. What’s missing from Thissen’s op-ed was how much translators in that classroom cost. There certainly isn’t anything mentioned how much translators working in classrooms across the state cost. Apparently, that isn’t Thissen’s concern. Apparently, being an accepting society is the only thing that matters to him. What’s most telling about Thissen’s thinking is when he said “Rather than appealing to Minnesota’s longstanding and proud tradition of welcoming refugees, a tradition led by religious organizations across our state, Johnson plays to baser instincts of fear and division.” First, these aren’t “religious organizations” as much as they’re money-grubbing nonprofits. They aren’t doing this for altruistic reasons. LSS wouldn’t be in the refugee resettlement industry if they weren’t raking in tens of thousands of dollars from the resettlement programs. Federal officials consult closely with local resettlement agencies (Catholic Charities, Lutheran Social Services, the Minnesota Council of Churches) to assess local resources — including staffing, affordable housing and capacity for services like ESL classes and health screenings — before determining the number of refugees our communities can absorb. When we take actions that turn desperate people away out of fear, out of smallness, or out of political expediency, we fail a fundamental test of character. We fail America. We fail Minnesota. We fail ourselves. When we turn people away because our communities are going broke absorbing them, we pass the test of rational thinking. When we say that we don’t want additional refugees because of the health risks that they pose, it’s proof that we’re capable of rational thought. Contrary to Rep. Thissen’s accusations, we aren’t failing anything. We’re proving that we’re capable of saying enough is enough. In other words, they’re running for Gov. Dayton’s third term. They’re running without explaining what economic goals they’ll fight for. A quick view of Paul Thissen’s website doesn’t lay out a vision for Minnesota’s economy, either. It talks about how the Supreme Court should protect labor unions. It talks briefly how we should implement single-payer health care statewide. Thissen talks about legalizing marijuana, too. There isn’t anything in that pile of words that sounds like he has a clue about capitalism. Then again, his legislative record hasn’t shown him to have a clue about creating high-paying middle class jobs so we shouldn’t be surprised. Erin Murphy’s campaign website has a ‘Why I’m Running‘ page but it doesn’t have an issues page, much less an explanation of what economic policies she’d implement. Across her statewide listening tour Rebecca met hard-working people who are under-compensated, making it hard to make ends meet. This is hurting our families, our communities, and our way of life. Rebecca Otto supports increasing the minimum wage and indexing it to inflation. She will also be releasing an economic plan that will help increase wages across the state. There’s nothing on any of these candidates’ websites that talks about infrastructure, especially pipelines. Why is that? Is it because the DFL’s special interest masters won’t let them support legitimate projects that create middle class wages? Is it because the DFL doesn’t think that fossil fuels will play an important part in our economy? Finally, it’s apparent that the DFL doesn’t understand capitalism whatsoever. This morning on At Issue with Tom Hauser, Katharine Tinucci said that cutting the corporate tax rate won’t create jobs because “the rich” won’t invest the money. What an idiot. What wealthy people want most is more money. The best way to get wealthier is by investing that money. Isn’t it apparent that the DFL doesn’t understand human nature? The unmistakable commonality running through this article is that most of the DFL gubernatorial candidates are distancing themselves from Gov. Dayton while singing Gov. Dayton’s praises. What’s apparent is that they’re all distancing themselves from Gov. Dayton, which isn’t surprising. It’s understatement to say that Minnesota is changing and not in the DFL’s direction. The biggest problem with the DFL’s candidates is that they’re moving in the opposite direction of the state. Minnesota is getting more red each cycle. The DFL is heading further left each cycle. It isn’t surprising that each of these DFL candidates is working hard to win over Bernie Sanders’ delegates. 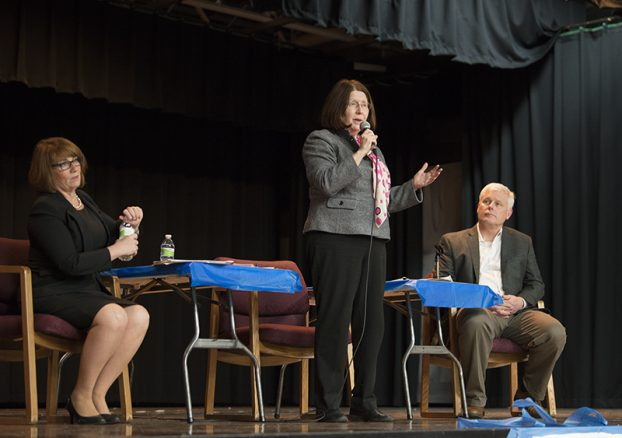 The DFL candidates are fighting for the ‘true believer’ vote. If this election cycle is like the 2016 election, then this will be a change election. It’s my opinion that leftward change isn’t the type of change Minnesotans are looking for. But the days of blind Range voting allegiance to the DFL Party are history. Consider this: State Sen. David Tomassoni’s district is in the heart of DFL country. Yet, it was carried by Republican Donald Trump not Democrat Hillary Clinton in the 2016 presidential election. Rep. Erin Murphy of St. Paul responded to a request for comment with a general statement that we can have both clean water and mining jobs. “When it comes to questions that pit water and jobs against each other, we must ensure that we have clear science-based processes that include strong financial assurances.” State and federal processes already do that. They often give a standard, “Yes, I support copper/nickel, if it can be done safely” answer, even though the projects continue to meet and exceed state and federal rules and regulations for permitting and operation. Ken Martin got what he had hoped for at the DFL State Convention last weekend regarding the copper/nickel/precious metals mining issue on the Range: Nothing — no resolution for or against debated on the floor. The state DFL Party chairman had said for a couple months in interviews and conversations with the Mesabi Daily News that his goal was to not have the controversial issue turn into a convention firefight. He succeeded, despite passionate feelings on both sides. But the state senator said the gubernatorial election is a critical one for the region. “People are really fed up with those in the Twin Cities area lecturing us and telling us how to live our lives. 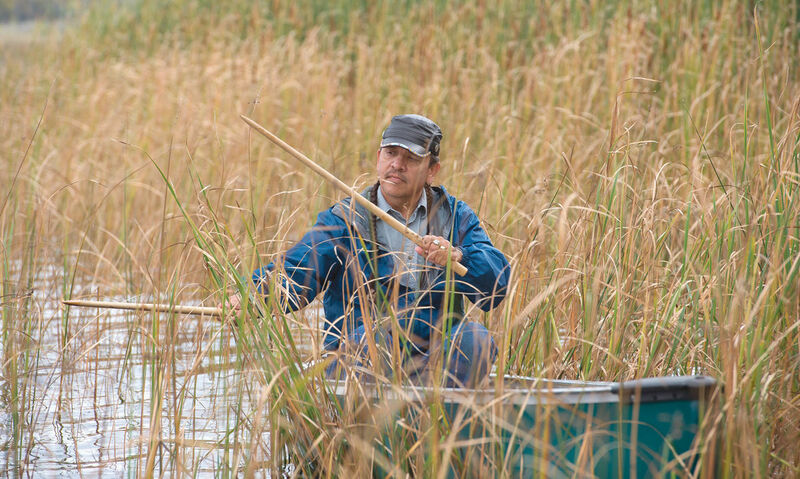 We have the cleanest water in the state and we’ve been mining for more than 130 years. Yet we are told ‘do this and don’t do that’ when it comes to mining that built this great state and country. Iron Rangers are pi_ _ _ _ off. They’ve had enough,” Tomassoni said. They should be upset. The environmental activist wing of the DFL is still the dominant wing of the DFL. They aren’t a tolerant bunch. Proof of that is how DFL environmental activists shut down a hearing on a pipeline project in Duluth last week, then threatened to disrupt another hearing on the pipeline project in St. Cloud. As a result of that threat, authorities canceled the hearing. It’s difficult finding comment from other DFL candidates on the issue or copper/nickel mining in general. But not so Otto. As a member of the state’s Executive Council, comprised of the governor, lieutenant governor, attorney general, secretary of state, and auditor, Otto voted against awarding leases for copper/nickel exploration in the region in 2013. The leases only allow companies to drill holes in the ground to extract mineral samples to judge the value of certain deposits. 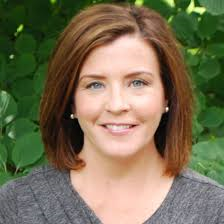 She immediately used her vote against copper/nickel mining as a fundraising tool, especially in the Twin Cities area, and continues to tout her decision, which she has said was to protect Minnesotans’ welfare. She also contends she is not anti-mining. The DFL’s credibility on mining issues is damaged. There used to be a blind allegiance to the DFL. Bit-by-bit, that’s being replaced with a ‘prove it’ attitude. One of the things that I can’t shake in reading this article is whether the Public Utilities Commission will destroy the DFL for the 2018 election. Bear with me while I make the case for why I think it hurts the DFL. 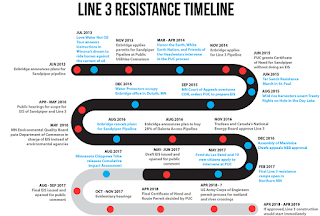 Right now, the Public Utilities Commission is holding hearings on whether to approve the replacement of Enbridge’s Line 3 Pipeline. 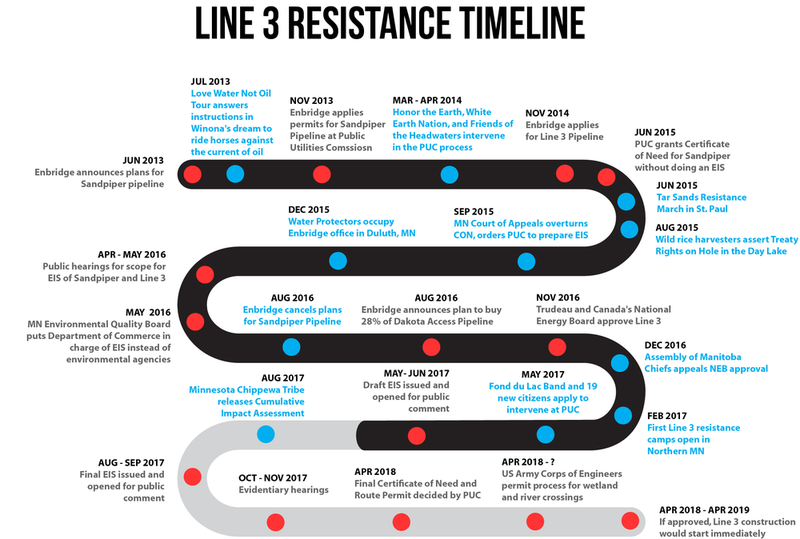 The reason why this is potentially devastating is because “the state Public Utilities Commission is expected to decide whether to approve the Line 3 project next spring.” The only thing that might derail the building of the replacement pipeline is the Dayton administration. If this pipeline isn’t built soon, farmers, construction workers and small towns will be upset with the Dayton administration. Farmers will be especially upset because rejecting this pipeline project will trigger more oil to be transported via oil trains. That limits rail capacity for getting farmers’ crops to market. Whoever the DFL candidate for governor is, they’ll be pressed on whether they’ll support building the pipeline. Anything except enthusiastically supporting the building of the pipeline will be greeted with anger by rural Minnesota. That, in turn, will spike turnout in rural Minnesota because they can’t afford to have environmental do-gooders destroying farmers’ operations. Based on the information on the PUC’s commissioners page, it’s virtually certain that the PUC will vote against replacing the pipeline. Three of the commissioners are DFL environmental activists. 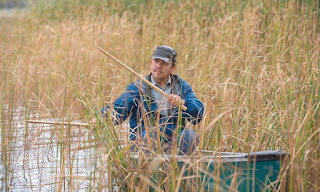 The lone Republican is a former DFL politician who worked as a lobbyist for Conservation Minnesota. Republican gubernatorial candidates should lay this situation out in rural Minnesota. When they’re campaigning, they should ask farmers if they can afford 4 more years of DFL environmental policies. I’m betting the response will be an overwhelming no! Look at the results from rural Minnesota the last 2 elections. In 2014, Minnesota Republicans rode a wave from rural Minnesota to recapture the Minnesota House. In 2016, Minnesota Republicans rode anti-DFL sentiment in rural Minnesota to flip the Minnesota Senate. That graphic will get everyone’s attention because it’s a display of how dysfunctional Minnesota’s permitting process is under DFL control. 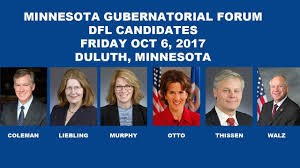 That won’t get better if Erin Murphy, Tim Walz or Paul Thissen gets elected governor. This article provides some interesting insights into the Minnesota Supreme Court’s line-item ruling. It’s worth reading just for the plethora of quotes from lawmakers. One of the more interesting quotes was from former Speaker and former House Minority Leader Paul Thissen. Let’s dissect that quote. First, Rep. Thissen is right that the legislature works for the people. Rep. Thissen didn’t do that. In 2013, in payback to their public employee union special interests, the DFL passed a bill that Gov. Dayton signed that gave SEIU and AFSCME the right to organize in-home child care providers. The thing is that those in-home child care providers, led by Hollee Saville, showed up en masse at the Capitol that day. They lobbied against the bill. They told DFL legislators that they didn’t want to be part of a union. The DFL ignored them. As I said, the bill passed. Then it was signed into law. When the organizing vote happened, the people that the DFL supposedly work for rejected the union by a vote of 1,014-392. Over 72% of voters rejected unionization. This wasn’t a nail-biter. It was more like Reagan vs. Mondale in 1984, Nixon vs. McGovern in 1972 or LBJ vs. Goldwater in 1964. Q: Why didn’t then-Speaker Thissen listen to the people instead of the special interests? Another part of the quote has Rep. Thissen saying “They deserve to know who is in the room, and they have the right to know what is being said.” I don’t remember then-Speaker Thissen insisting that negotiations between him, Sen. Bakk and Gov. Dayton be transparent. In fact, what we got from the DFL leadership was a statement saying that they’d agreed to raise taxes after negotiations had theoretically concluded. They we found out that one of those DFL leaders didn’t like the tax bill. That led to further negotiations and another statement. At no point in 2013 did then-Speaker Thissen insist on transparent negotiations. In the speech, Rep. Thissen accuses Republicans of raising property taxes. That’s a lie. Republicans don’t propose raising taxes. That’s what the DFL did in 2013-14. During those years, property taxes in Princeton and St. Cloud skyrocketed. What’s worst is that “O’Toole received the pay raise, and positive reviews, from the MNsure board of directors as part of a 40-minute long closed door meeting.” Nowhere in the article does it say that Paul Thissen and other DFL legislators criticized the closed-door meeting. Last year, Thissen and a handful of other Democrats criticized Republicans for holding closed-door budget negotiations, complaining about a lack of transparency and the people not getting their input. Let’s return, though, to the part about overpromising and underperforming. Dayton’s administration predicted more than 400,000 “people would be buying private coverage through MNsure by the end of 2016.” At the end of 2016, though, only 103,000 had bought private insurance through MNsure. Gov. Dayton’s administration was off by only the population of Bloomington, Duluth and Rochester. Another way of putting it is that Gov. Dayton’s administration was off by the population of St. Paul.